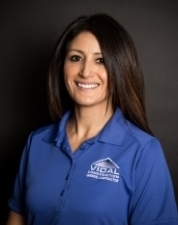 Vidal Construction opened in 2008 and has experienced steady growth ever since. Our General Contracting firm builds your project to last and compromise is never an option. Our areas of practice are Design + Build Commercial Construction, Custom Homes, Property Restoration and Roofing. Our offices are located in and operate throughout the Greater Houston, San Antonio and Austin areas. We understand the importance of your property and take the time to develop a mutually beneficial relationship with all of our clients. Whether new construction or a renovation, the highest levels of professionalism will be applied to your project. Let us use our experience, skills and dedication to make your construction needs a reality. Returning clients and referrals comprise the majority of our business, which is a reflection of our commitment to quality and customer service. Customer satisfaction remains consistently high and we receive numerous third-party accolades for outstanding service, reputation, trust and customer service. We have successfully completed design + build commercial projects with major corporations, are able to provide a true custom home build and are a preferred vendor for several A Rated insurance companies. Our financial strength and lines of credit allow for a hassle-free experience. Our team has over 60 years of direct construction management experience and we will walk you through every step of the process. Through an unwavering commitment to continued education, organization, established vendor and trade relationships and positive culture, we will provide the highest level of craftsmanship and service that will set us apart. We will be widely recognized and sought as the premier contracting organization, providing a wide variety of high-quality construction, development projects and services. Blair Juarez has nearly handled every aspect of the construction process from his experiences as a framer to a superintendent for both commercial and residential construction. Blair knows exactly what it takes to make sure his customers are well taken care of and satisfied every step of the way. He oversees each project from start to finish with impeccable leadership, communication, and organizational skill ensuring the highest level of quality throughout. When working with customers who have suffered damages to their homes, he is happy to be part of a simple solution. His projects are not finished until there is a smile on his customers’ faces. Blair is proficient in Xactimate 28 and is actively certified as a Haag Certified Inspector-Residential Roofs. Joey graduated with a Bachelors of Science in Justice Administration from Wayland Baptist University in 2006. Joey has over 24 years experience in law enforcement and is currently a detective with the San Antonio Police Department. Joey initiates new customer development and ensures an excellent client experience from beginning to end. 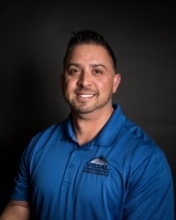 Edwin Vidal began his professional construction management career after earning BBA from Schreiner University, with a concentration in management, where he was recognized as a NAIA All American Honorable Mention basketball player. He also played professional basketball in Europe and Central America. 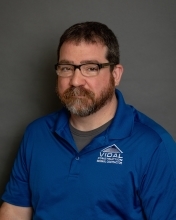 His direct construction experience has progressed from an entry level Construction Superintendent, onto Project Manager and then founding Vidal Construction. He has held WRT, ASD, FRT, Haag Certified Inspector certifications and Texas All Lines Adjuster, P&C, Group I, LRA licenses. He is fluent Spanish speaking and writing, AutoCAD, Microsoft Project and Xactimate 28 advanced. He has successfully completed over 20 million dollars in ground up construction projects and insurance related property claims. 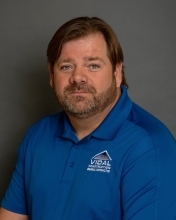 Scott Ward has 10 years of construction experience in finish work, tile installation, and roofing. He plans and supervises projects from inception to completion with precision and detail. Scott is well-versed in construction methodologies and procedures to produce the best results. His experience as a realtor and apartment manager has given him the experience and knowledge to ensure customer satisfaction with every project. 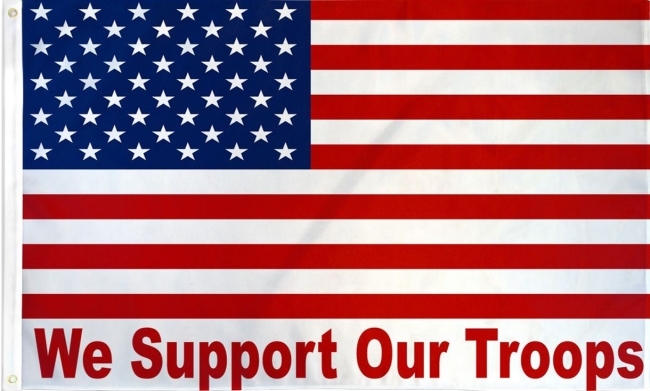 Donald Spini was a member of the armed forces where he proudly served six years in the US Navy. He graduated from Texas State University in San Marcos with a degree in Political Science and Anthropology. He has over 20 years of quality control and manufacturing experience along with 15 years in the construction industry. 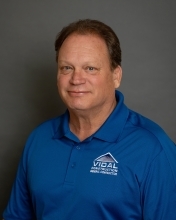 Donald is a licensed insurance adjuster with 2 years experience handling property claims. 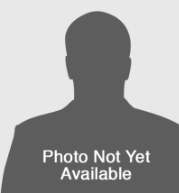 He is dedicated to helping our clients throughout the repair process. Sean has 15 years of experience in the construction industry. With his knowledge and skills in construction management, which include planning, foundation, carpentry, painting, and fencing, he is knowledgeable to assist our clients with all aspects of their project. He is committed to seeing projects through from inception to completion in a timely manner and within budget. Carlos Huerta has 19 years experience in restoration to include being part of a catastrophe team for 5 years in 7 different countries. He specializes in contents and water mitigation. He is IICRC certified, HAAG certified inspector, Lead EPA certified, and certified with the Texas Department of Health for mold remediation. Aja Vidal graduated with a degree in English Communication Arts in 2000 from St. Mary’s University where she played college soccer. Aja later gained her teaching certification from The University of Texas at San Antonio. She taught high school English for 10 years in both San Antonio and Houston and she has also coached high school soccer. Aja assists with the daily office operations. 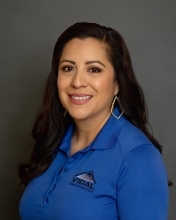 April Vidal brings many skills to Vidal Construction with her business degree in marketing, a master's degree in education, and experience in human resources, member services, and management. She has 13 years experience working in customer service along with 7 years in the education field. She is driven to making our clients the top priority. April handles marketing, billing, account receivables, payroll, and assisting Project Managers. 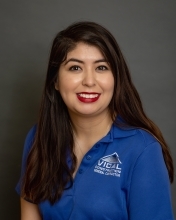 Lissie Salinas has extensive knowledge and skills assisting clients with project selections. Her love for construction started at 16 years of age as she worked for her grandfather’s hardware store. She earned a Bachelors of Science degree in 2016 from the University of Incarnate Word with a minor in Psychology. With Lissie’s knowledge, skills, and experience, she is the right person to assist our clients with their residential and commercial construction. Juan Fraga is a skilled, reliable craftsman with 18 years of experience in home building. 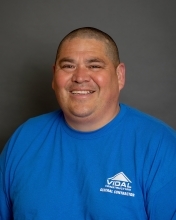 Juan assists Vidal Construction with material expediting, finish carpentry, general labor, roofing, light framing, plumbing repairs, demolition and content manipulation. He safely operates company vehicles and provides excellent customer service.